Today most of us depend on our home appliances to be in a working order on a daily basis. Thanks to the advancement of technology, these appliances have made our every day life simpler and easier. 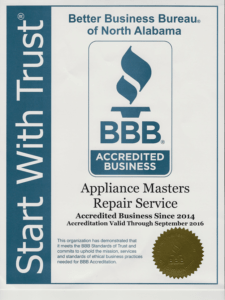 When these appliances break down or start malfunctioning, we instantly contact an appliance repair company to fix the problem. 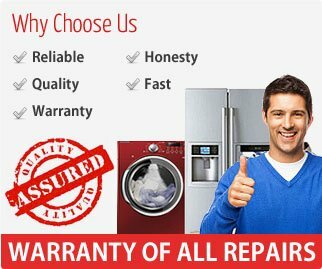 Appliance repair companies are known for providing services for refrigerator repair, ice maker repair, etc.. There are many repair companies available in the market, but all of them will not offer the best. It is you who have to search a bit to find the best repair company. Appliance Masters Repair Service is well experienced in handling different brands of refrigerators. They are also known for providing services for ice maker repair in Denver.If you find any problem with your ice maker, you can call the Appliance Masters Repair Service for getting the quality service. Always keep your refrigerator at the right temperature: The ideal temperature for the device must vary between 34.7 and 38.3 degrees. It can go up,but it will not be safe for the food. In high temperature your perishable items become vulnerable to bacteria. Crisper drawers are actually useful: Many of us don’t know the usefulness of a crisper drawer, but we should know the proper use of these crisper drawers. Your foods and other items should be stored with humidity in the drawer and the fruits have to be kept away from humidity if stored in a drawer. Organizing it is a must:You should keep your food items in a place based on the temperature. Food which is ready to cook can be kept at the top shelf and raw food such as beef, meat on the lower shelves. For storing condiments you can use the door and do not keep eggs in the door. Make it run efficiently: This requires proper upkeep. You have to ensure that your refrigerator is running in top condition, is clean and organized. Also check whether there is any leakage in your appliance or food will spoil quickly. Clean it regularly: When you need to clean your refrigerator, do not forget to clean the defrost pan which is located behind the cabinet of the fridge. Many people contact us on a daily basis for a refrigerator defrost issues. Another important part is a condenser coil which also needs to be cleaned on a regular basis. You can do it yourself or call Appliance Masters Repair Service and we will do the regular maintenance on your fridge. If you follow the above mentioned suggestions, you can easily avoid repair cost and save a huge amount of money.